If there’s one thing I hate, it’s so-called salsa in a jar in the grocery store. GROSS. The useless sodium-laden, soggy, sugary mess inside is enough to make me run away screaming. I haven’t consumed the stuff in years for that very reason. For me, it’s homemade, restaurant-made, or nothing. And to be honest, I make a smashing raw tomato salsa that I was not interested in improving. Until I saw this recipe. Going along with my pickling/fermentation vibe this summer, a fermented salsa sounded too interesting to slip by this tomato season. 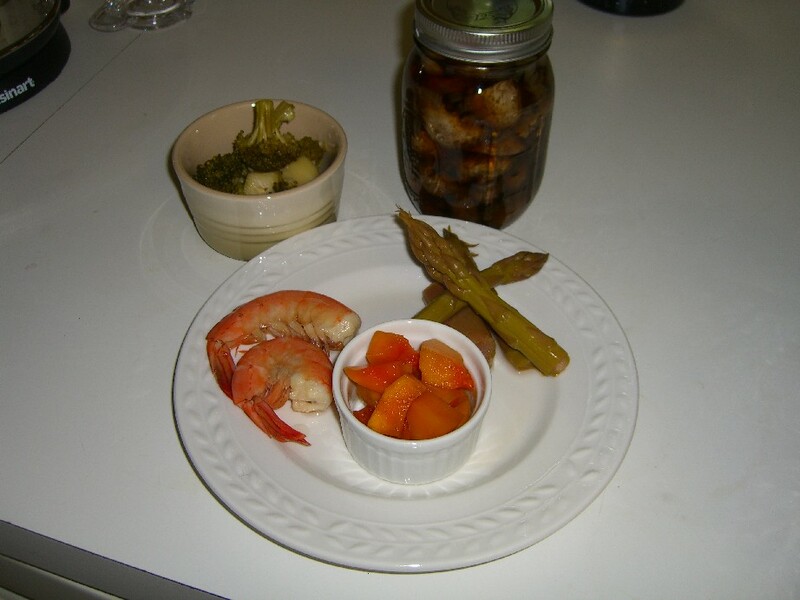 The recipe calls for Roma tomatoes but I got some nice heirlooms so I used those. I roasted up the tomatoes, garlic, onions and peppers (got some mystery hot peppers at the market that were delish). 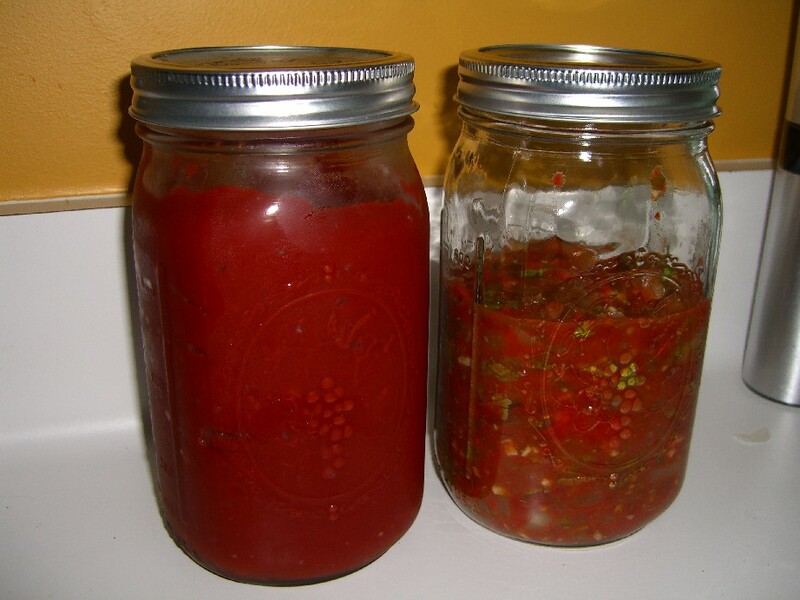 Since putting a piping hot anything into a plastic bag gives me the heebie-jeebies, I put the peppers into a half-pint mason jar and screwed on the lid to let them steam. After peeling the roasted and steamed peppers with food-safe gloves (we will not repeat the jalapeno contact lens incident) I chopped everything up, mixed in all the other ingredients (I didn’t have a lime so I used lemon for the juice) and put it in one of my trusty quart jars to ferment on the counter for two days. I have to admit, I was skeptical. Could any type of salsa really beat my old standby? I was absolutely blown away by the intense flavor of this roasted fermented salsa. It is absolutely delicious (and seems to get hotter as it sits in the fridge, by the way) and I’ve put it on tacos, scrambled eggs and served with guacamole. It really is the bomb. I won’t say that I’ll never make mine again, but I can say with certainty that I’ll be making this again. 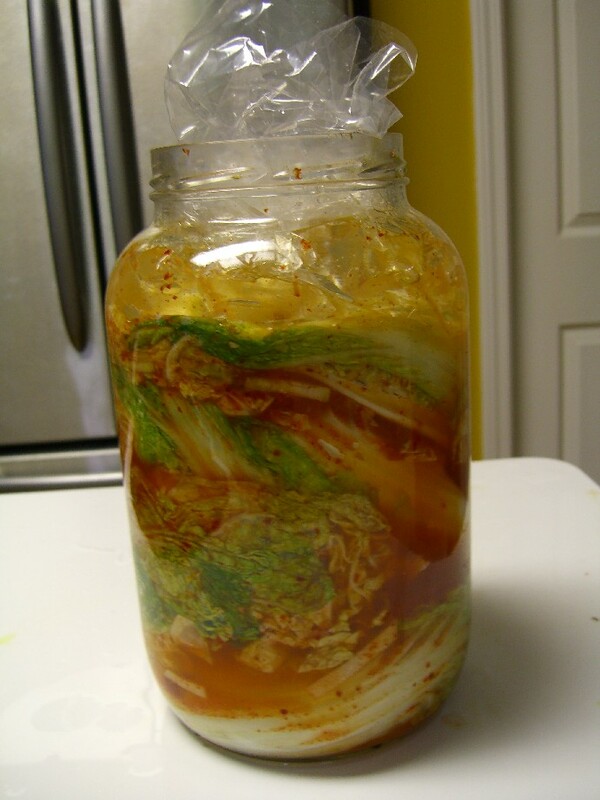 Too bad canning it would kill the benefits of fermentation. I’m going to miss it this winter! For my other fermentation project that I got going about the same time, I made some fermented ketchup. I was nervous about this one. Would test subject Bill reject it? Would he freak out? It wouldn’t be the first time. I used the recipe from Nourishing Traditions for my ketchup. It was a very simple mixture of canned tomato paste, whey, sea salt, maple syrup, cayenne pepper, garlic and fish sauce. 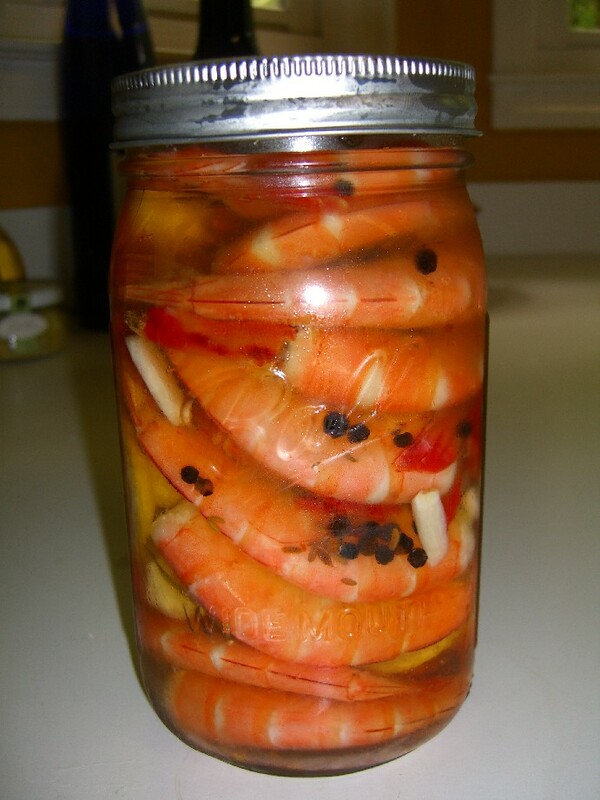 I used store-bought fish sauce; haven’t progressed to making my own yet. Yet. Anyway, you just mix everything up and it sits on the counter to ferment for two days. That’s it. So easy. 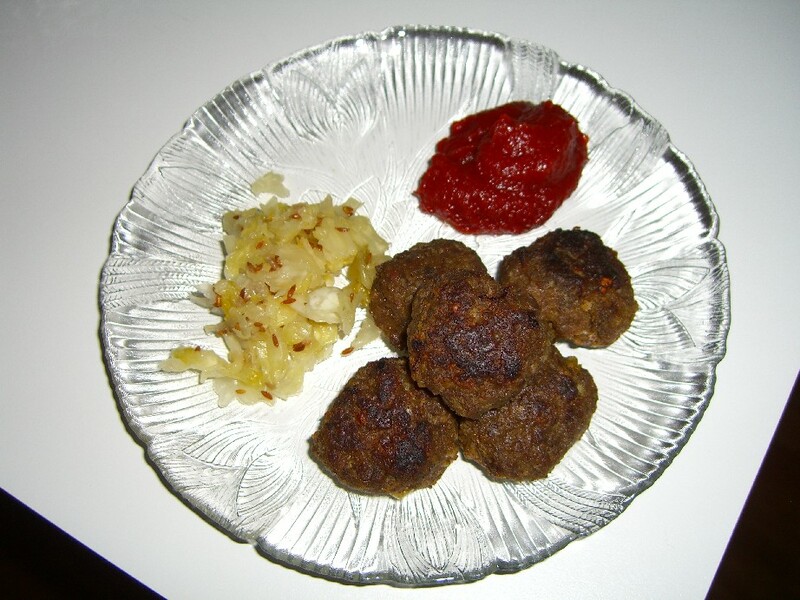 Home made ketchup and meatballs with a side of sauerkraut! Kvass in the jar and in the glass. In real life, it's much more purple than it looks here. 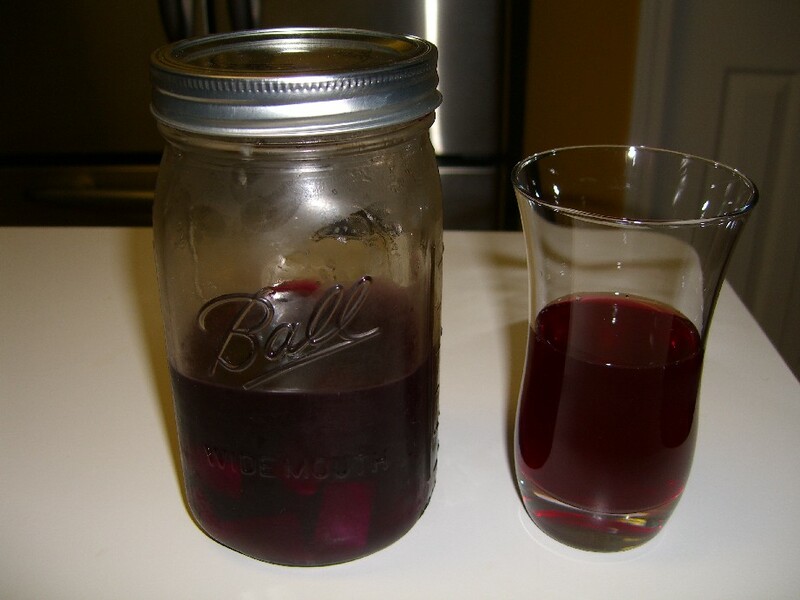 Beet kvass: looks weird, sounds weird, tastes a little weird but beets are jam packed full of nutrition and this beverage has been touted for its liver cleansing benefits. 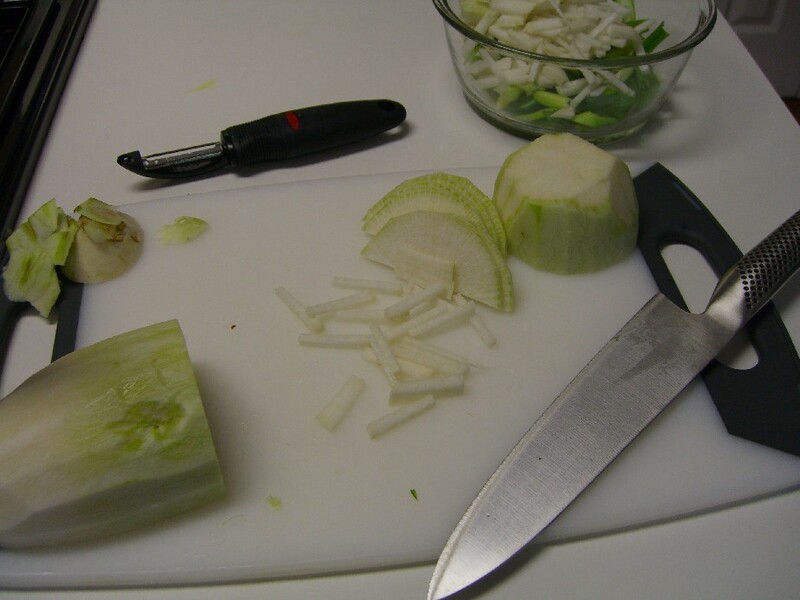 I was emboldened to try this after watching The Healthy Home Economist do it on her blog. 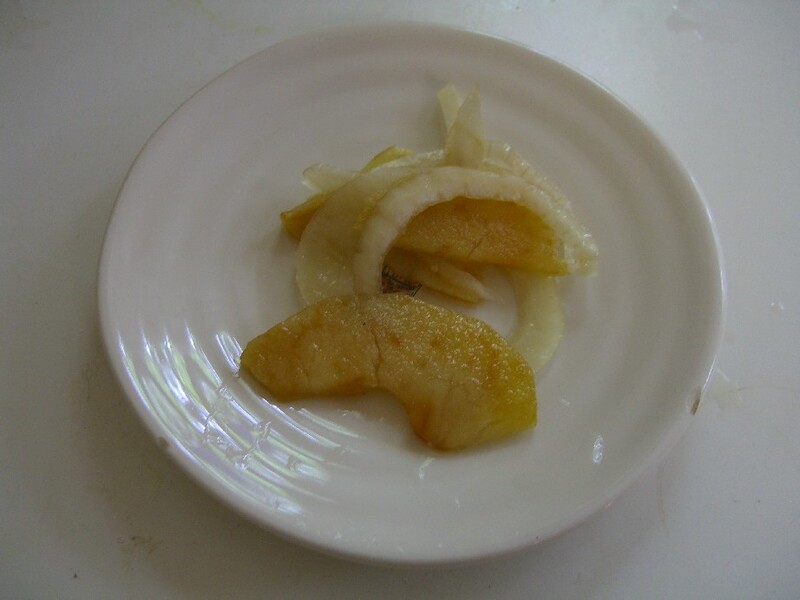 You can do the ferment twice, and I noticed the second batch is markedly less salty than the first. I know it was too salty for some people, so I would recommend watering it down the first time through if that’s the case. I had some problems with mold on the kvass. 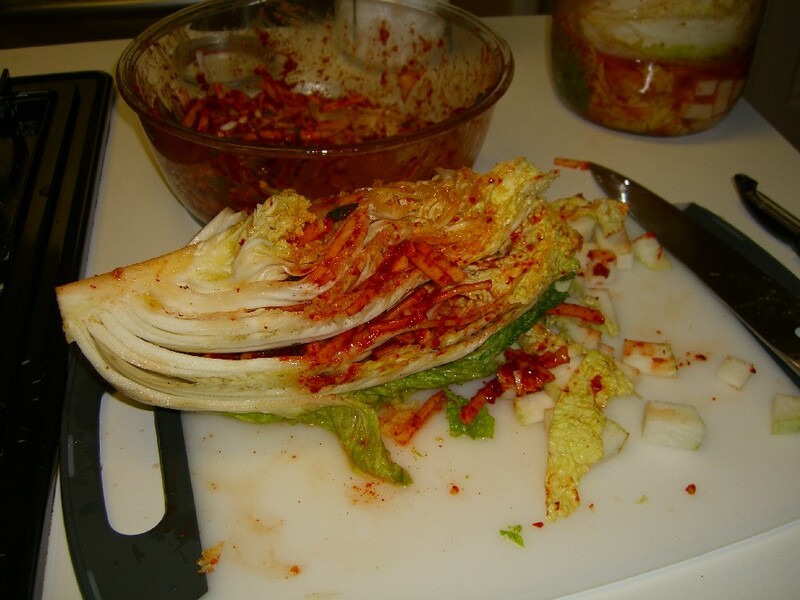 It was pretty easy to skim it off, and it’s not going to hurt you, but I think next time it’s on the counter I will fill a bag with brine and set it on top like I did with the kimchi to prevent molding instead of just screwing the lid on. This was the only ferment I experienced mold with. 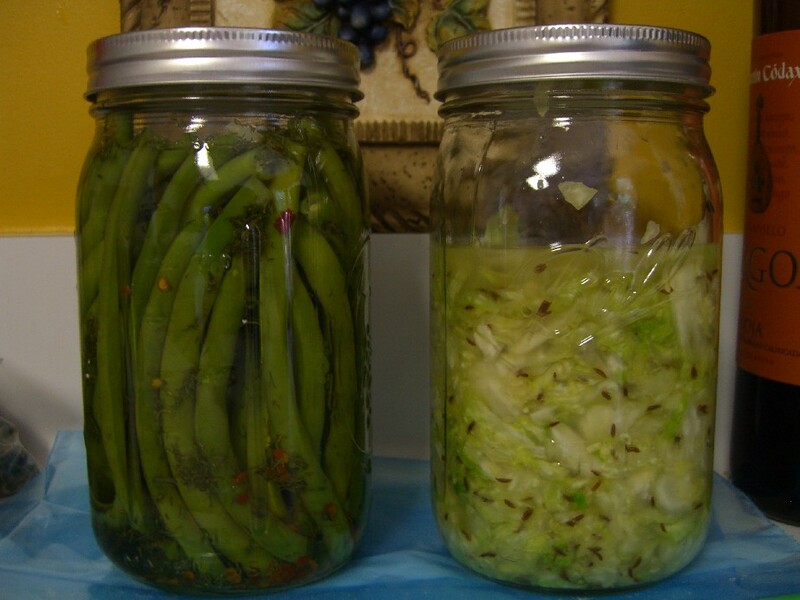 Pickled green beans (left) and sauerkraut (right) sitting on the counter to ferment. 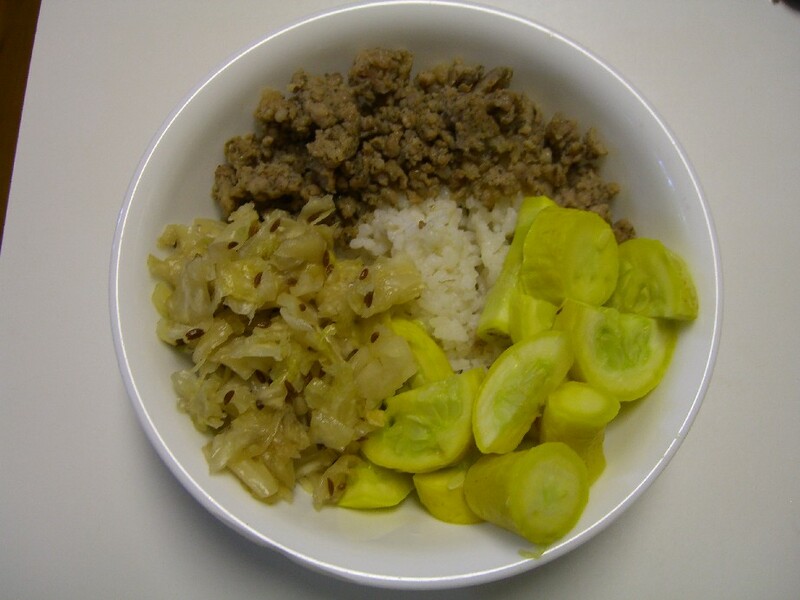 Sauerkraut with locally grown rice, pasture-raised pork sausage and steamed squash from my CSA box. counter. But with the beans I barely saw a bubble come up to indicate fermentation. They did it, though…definately fermented. They are an interesting accompaniment. 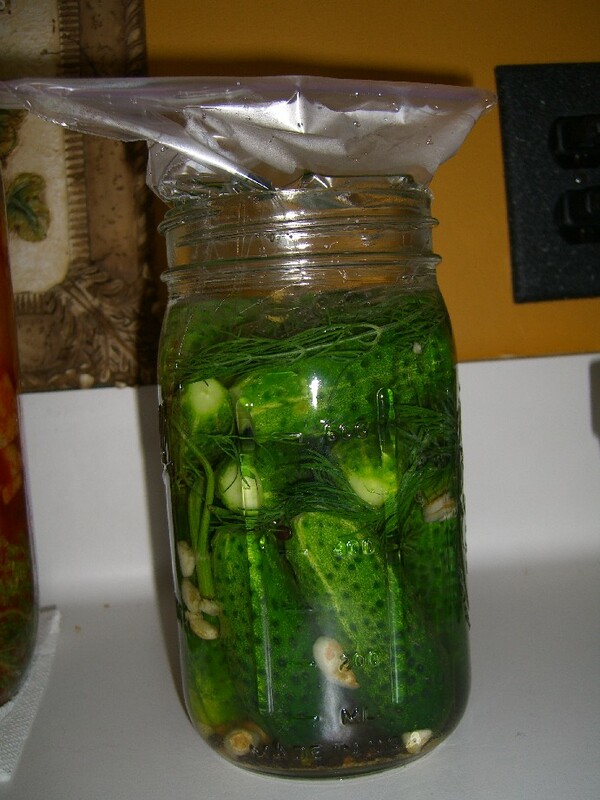 Cornichon pickles starting to ferment. even though I didn’t use a horseradish leaf or anything to keep them crispy. Luck? Maybe. 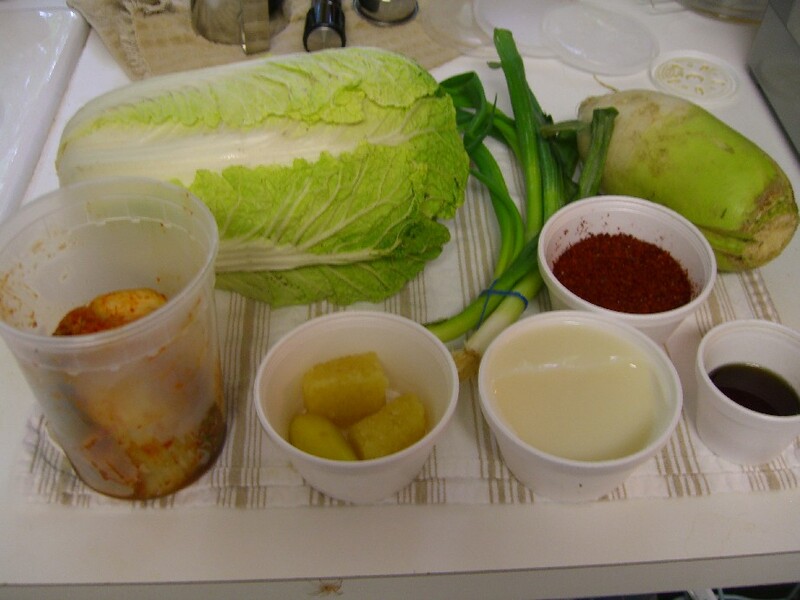 Next on the fermentation list: kombucha, honey mead, ketchup, mayonnaise, salsa, mango chutney….